January 2018 24in48 Readathon Sign-ups are Open! Merry Christmas, happy holidays, and happy end of 2017! I don’t know about you guys, but this year was kind of a dumpster fire, both personally and in the world at large. I’m ready to start fresh in 2018 and what better way to do that than blocking off a whole weekend to read? Setting reading goals for the new year? Taking on a new reading challenge? The 24in48 is here to help. Last summer 1400 readers joined in on the festivities and I’m so excited to jump start the year with all of you again. I’ll personally be using the weekend to kickstart two challenges for the year, Read Harder (as always), and the new Reading Women challenge. 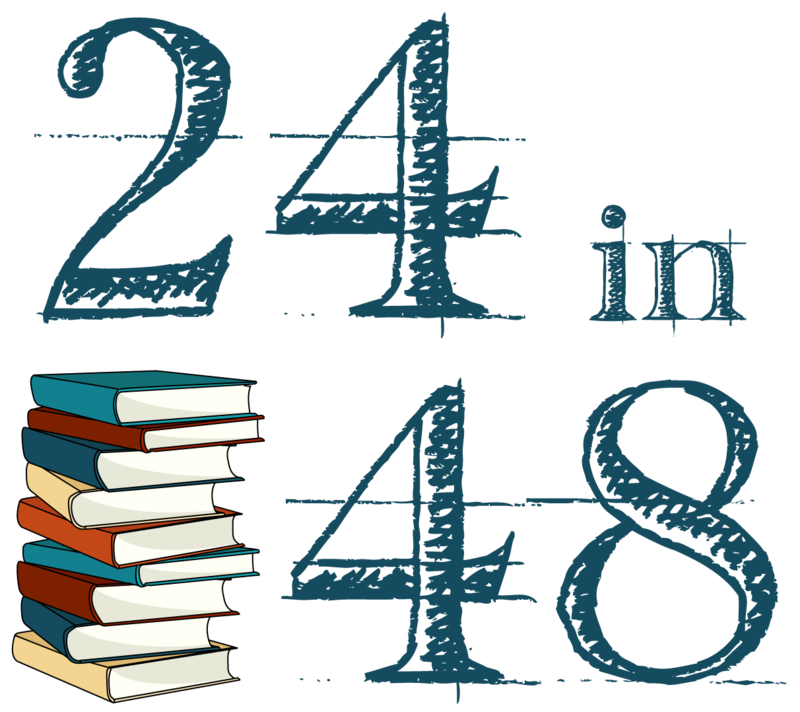 The next #24in48 will be taking place on Jan. 27-28, 2018! And I hope you can join us for a weekend full of warm blankets, snuggly pets, stacks of books, and blessed alone time. Have more questions? There’s an FAQ page for that. Also, we’re still accepting donations to help us send more prizes out to international winners through the PayPal donate button on the sidebar. Yay! I’m very excited to be kicking off the year like this – plus it will be a long weekend here in Australia. PS May all dumpster fires remain in 2017! I’m soooo in for another Readathon! I can’t wait. These are the best two weekends of my whole year. YES! I’ve been waiting for this since the last 24in48 !! Some designated reading time is just what I need to focus!